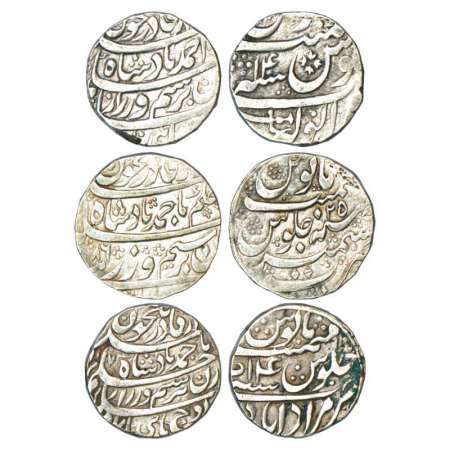 Afghanistan, silver rupee (3), Ahmad Shah Durrani (1747-1772 AD), 1x Anwala mint, RY 14, 1x Kashmir mint, AH 1186/RY 25 and 1x Muradabad mint, RY 14. 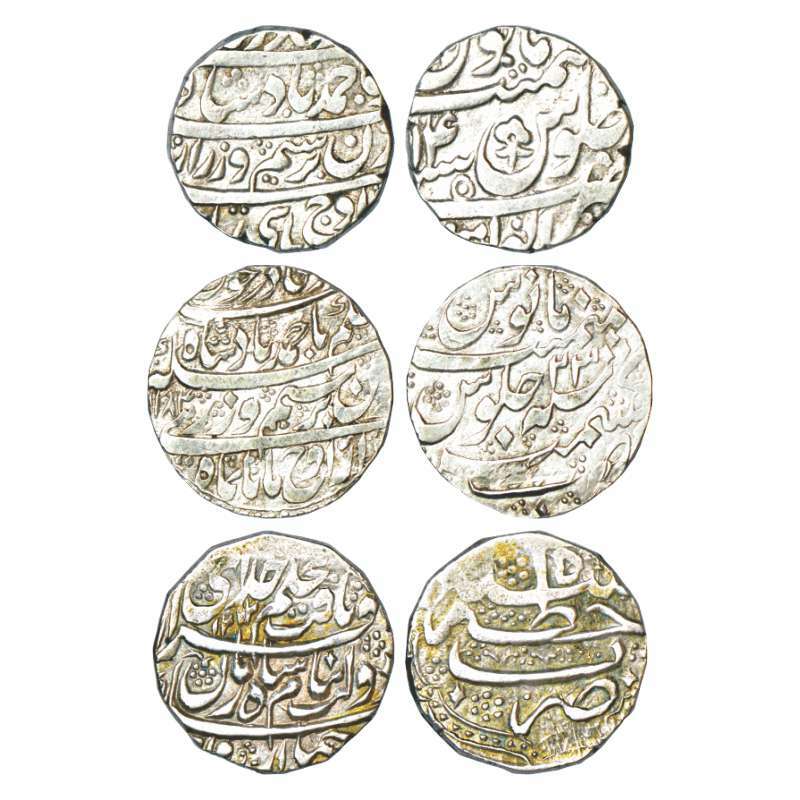 Afghanistan, Durrani Empire, silver rupee of Taimur Shah as Nizam (1757-1772 AD), Dar al-Saltanah Lahore mint, AH 1171/RY Ahd, Album 3097, 11.42g. 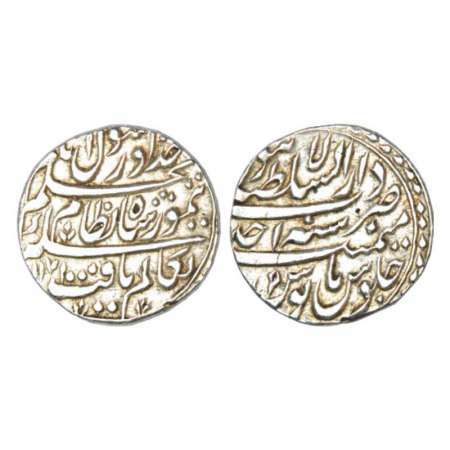 Obv: Farsi couplet, Ba'Alam Yaft Sikka-i Taimur Shah Nizam / Ba-Hukm-i Khuda wa Rasool Inam (By the order of the Almight and the prophet, the coin of Taimur Shah, the Governor, was gifted to the World). Rev: Usual 'Julus' formula, date and RY. Taimur Shah was appointed the 'Nizam' (Governor / Viceroy) of the Punjab, Sind and Derajat provinces by his father Ahmad Shah in 1170 AH in the aftermath of his fourth invasion of India. 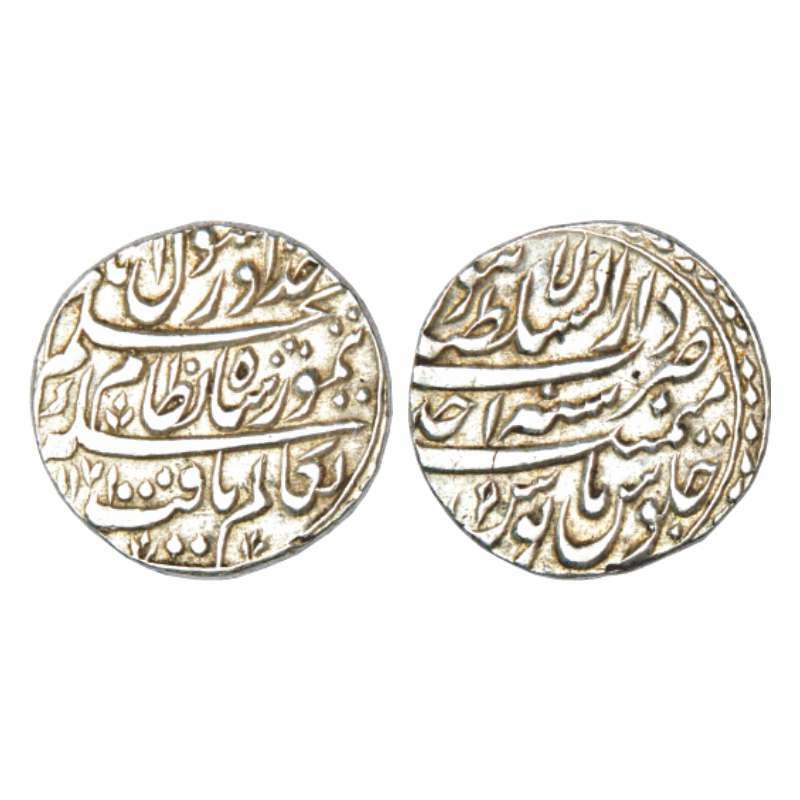 He struck coins in his own name in these territories from AH1170 to 1186 (1757-1772 AD); he then succeeded to Ahmad Shah on the throne of Afghanistan and struck coins as king, during AH1186, 1207. 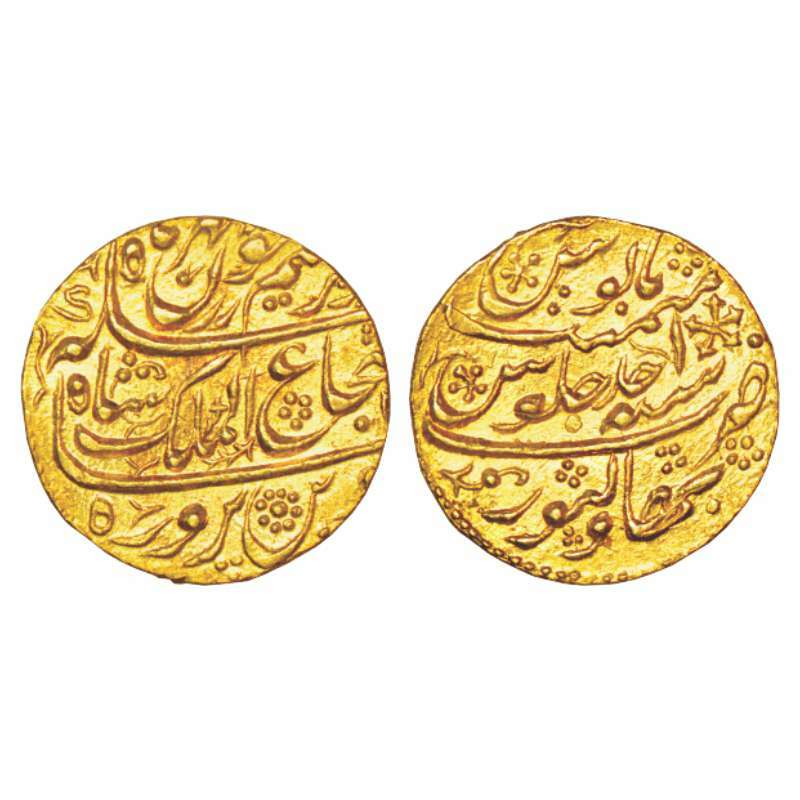 Bahawalpur, Muhammad Bahawal Khan II (1778-1809 AD), gold mohur in the name of Shah Shuja'a al- Mulk of Afghanistan, RY Ahd, Bahawalpur mint, 11.07g. 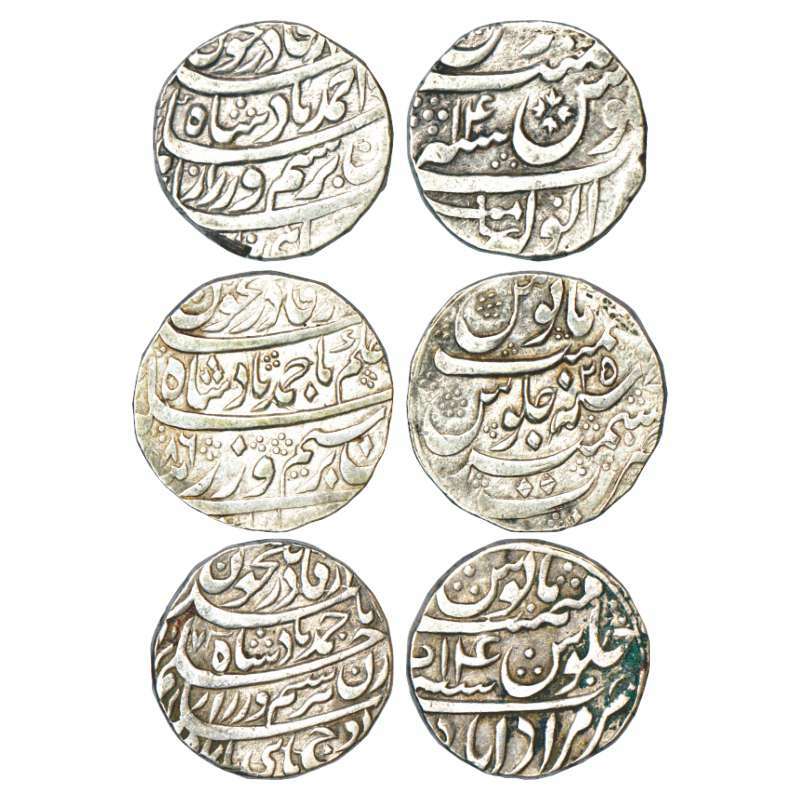 Obv: Couplet, Sikka zad bar Seem wa Zar chun Mihr wa Mah / Shah-I deen Parwar Shuja'a ul-Mulk Shah. Rev: Mint and RY details in 'Julus' formula. Brazil, silver 960 reis, AD 1811, 'R' mint mark, 26.70g. 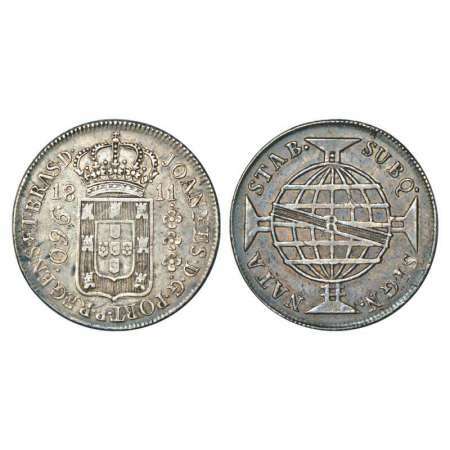 Obv: Crowned arms and denomination. Rev: Sash with initial cross globe within cross, KM 307.3. 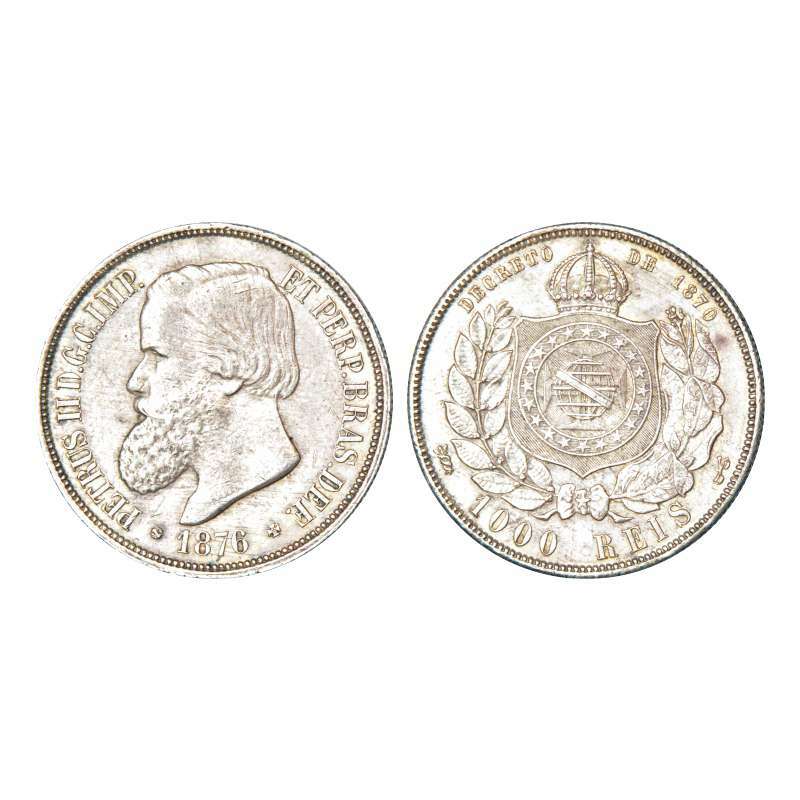 Brazil, Pedro II (1831-1889 AD), silver 1000 reis, AD 1876. 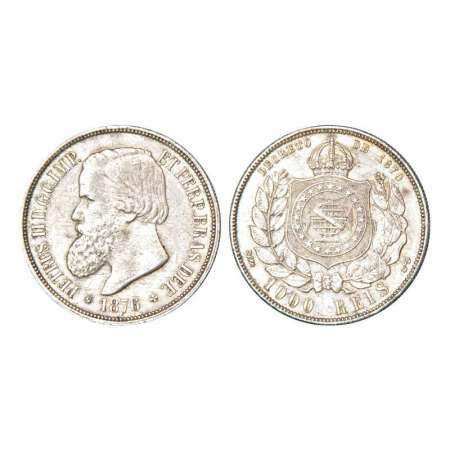 Obv: Portrait bust of Pedro II. 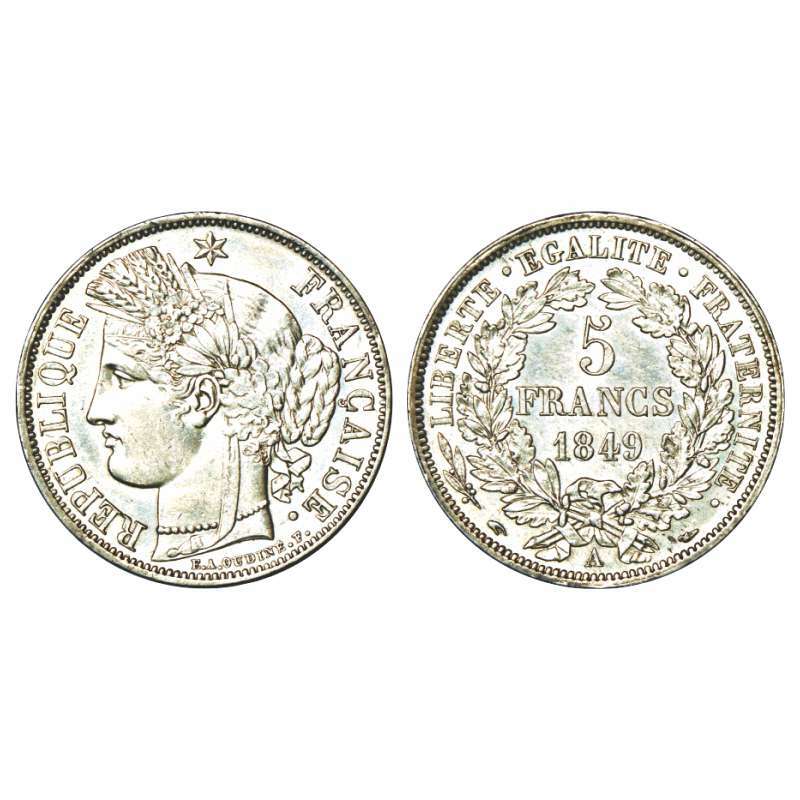 Rev: Crowned arms within wreath, KM 481. 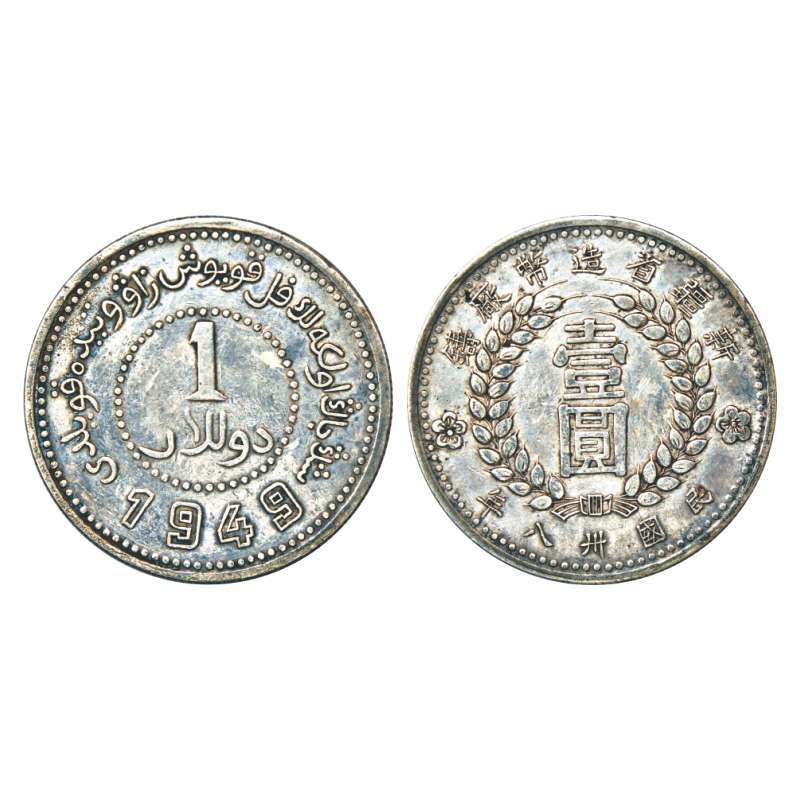 Burma, Mindon (1853-1878 AD), silver MU (½ rupee), CS 1214. Obv: Peacock facing left, full display. Rev: Denomination within wreath, KM 9. 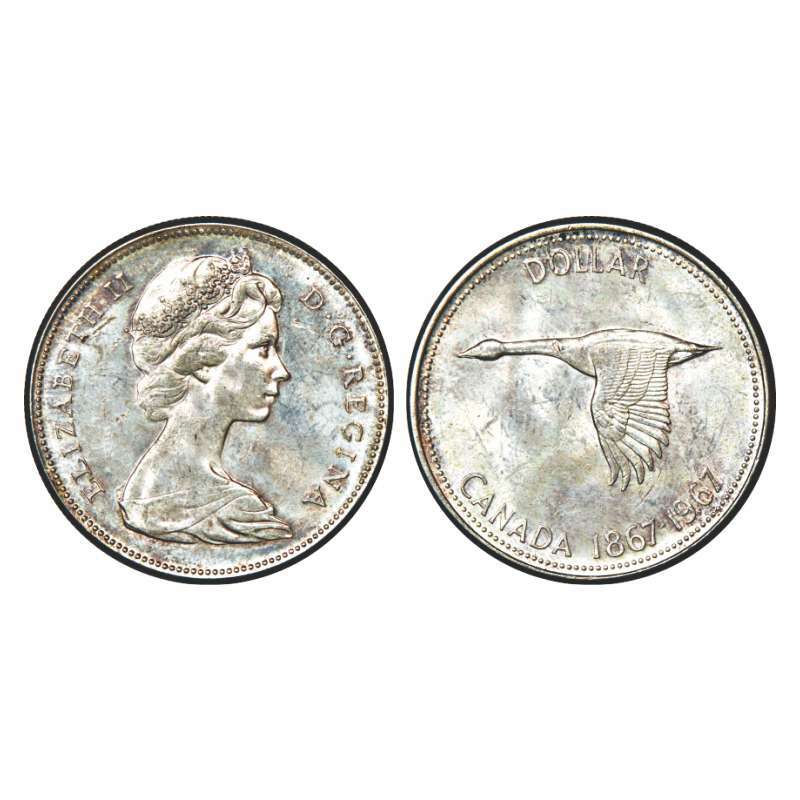 Canada, Elizabeth II, silver dollar, AD 1967, 23.07g. Obv: Portrait bust of Queen. Rev: Goose, KM 70. Ceylon, George IV, silver rix dollar, AD 1821, 8.95g. Obv: Portrait bust of king. 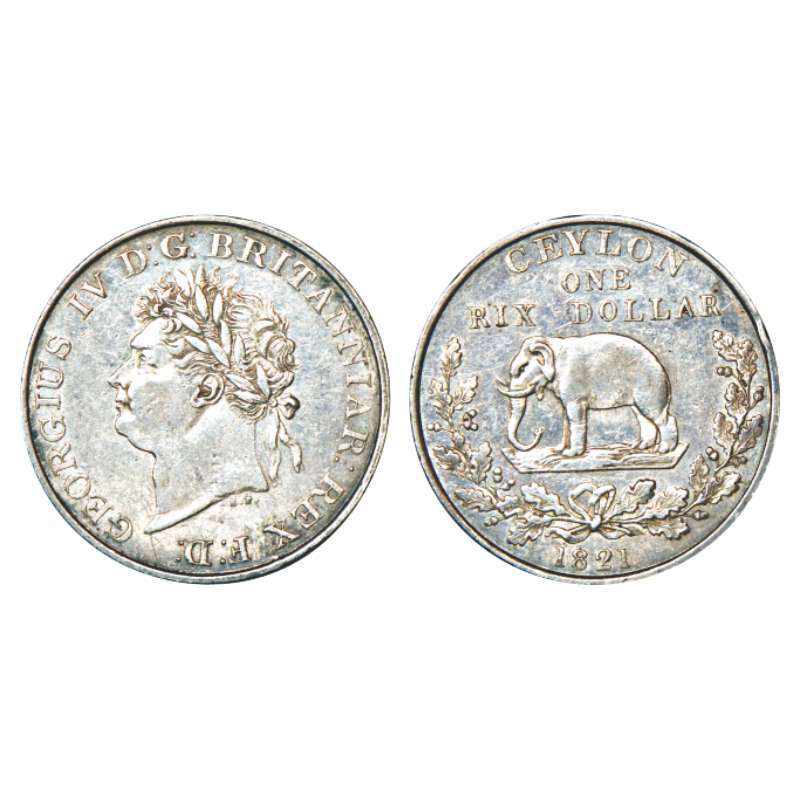 Rev: Elephant facing left, within wreath, KM 84. Edge knock otherwise extremely fine, Rare. 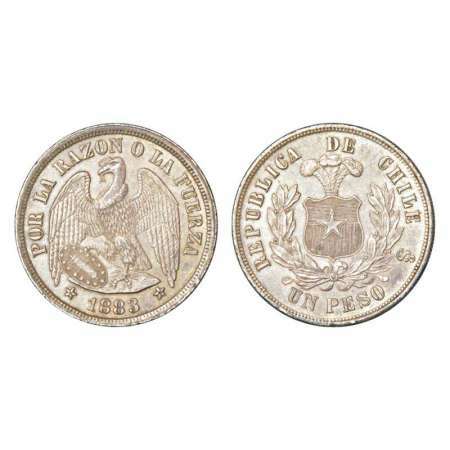 Chile, silver peso, AD 1883, 25.05g. Obv: Condor with wings spread and shield. 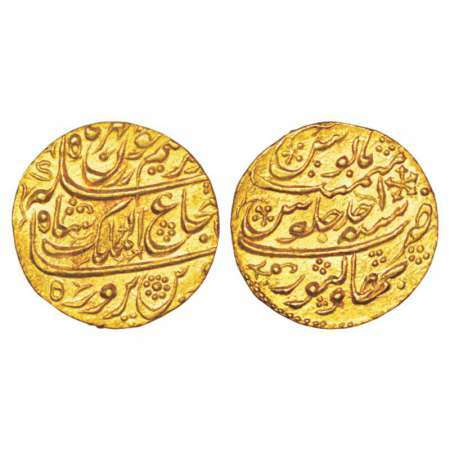 Rev: plumed arms within wreath, KM 142.1. 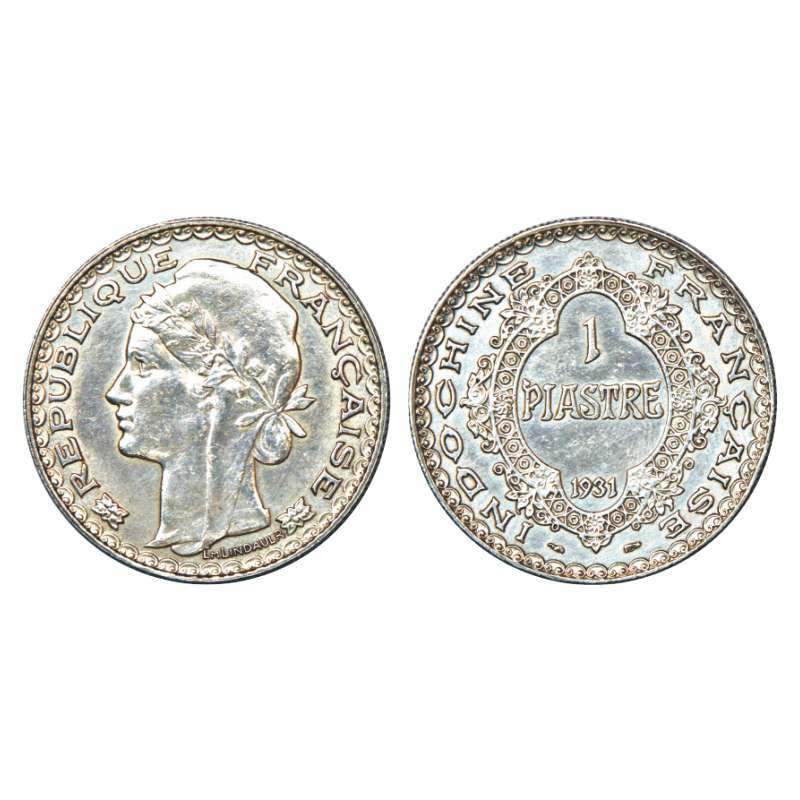 Edge knock, Very fine+, Very scarce. 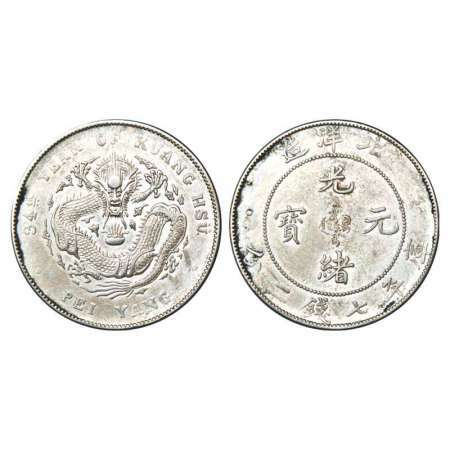 China, Chihli province, Ruler; Kaung-hsu, silver dollar, 26.68g. 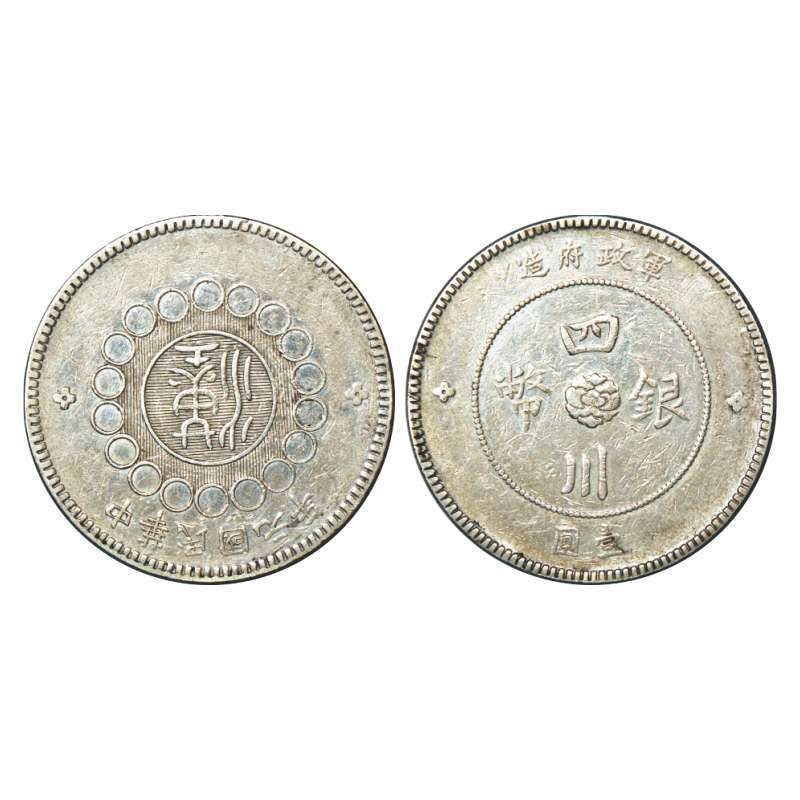 year 34, (1908), struck at china mint (peiyang arsenal), KM Y73.2. 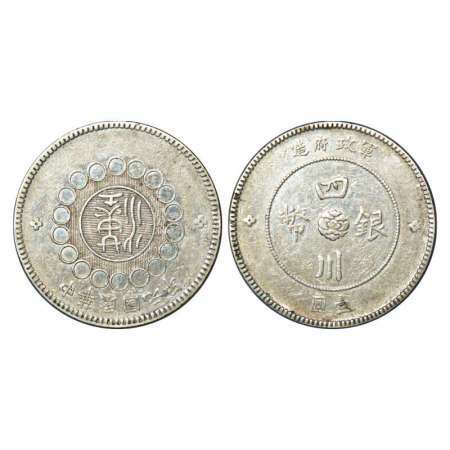 China, Szechuan province, Ruler; Kaung-hsu, silver dollar, 26.31g, ND (1901-08), inverted 'A' instead of 'V' in province in legend on obverse, KM Y238a. 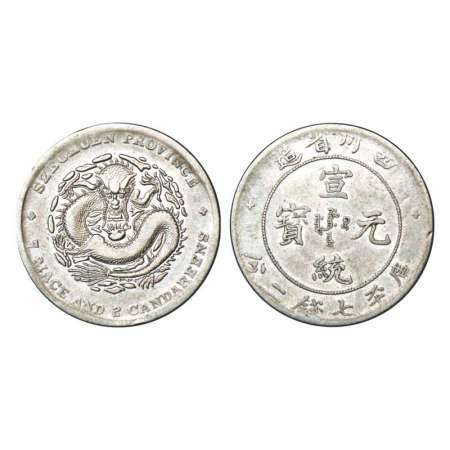 China, Szechuan province, silver dollar, 26.02g, date 1(1912), KM 456.1. 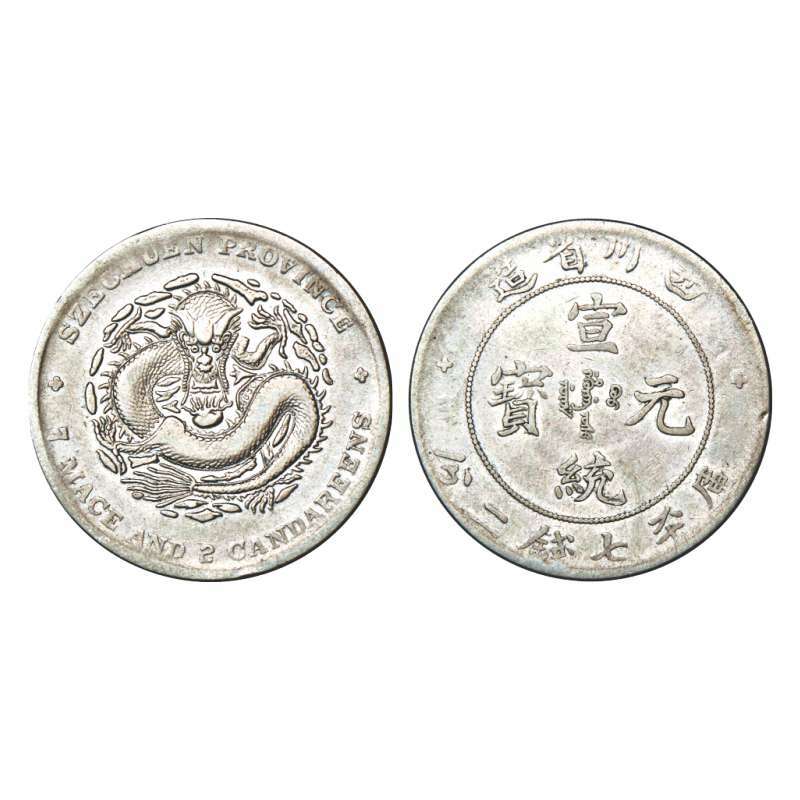 Republic of China, silver dollar (Yuan), 26.30g. 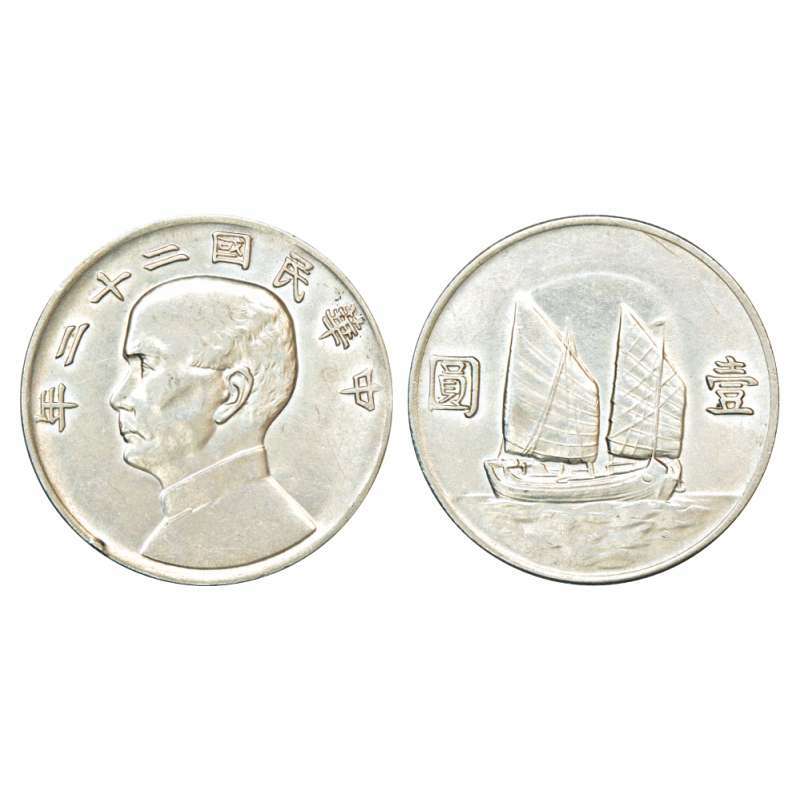 ND (1912), Sub: Sun Yat-Sen Founding of the Republic. 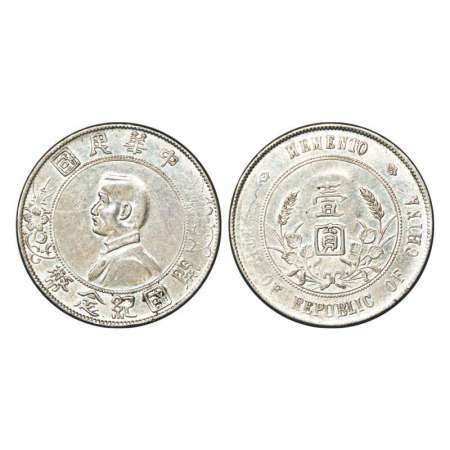 Obv: Portrait bust of sun yat-sen. Rev: Two five pointed stars dividing legend at top, KM 318. 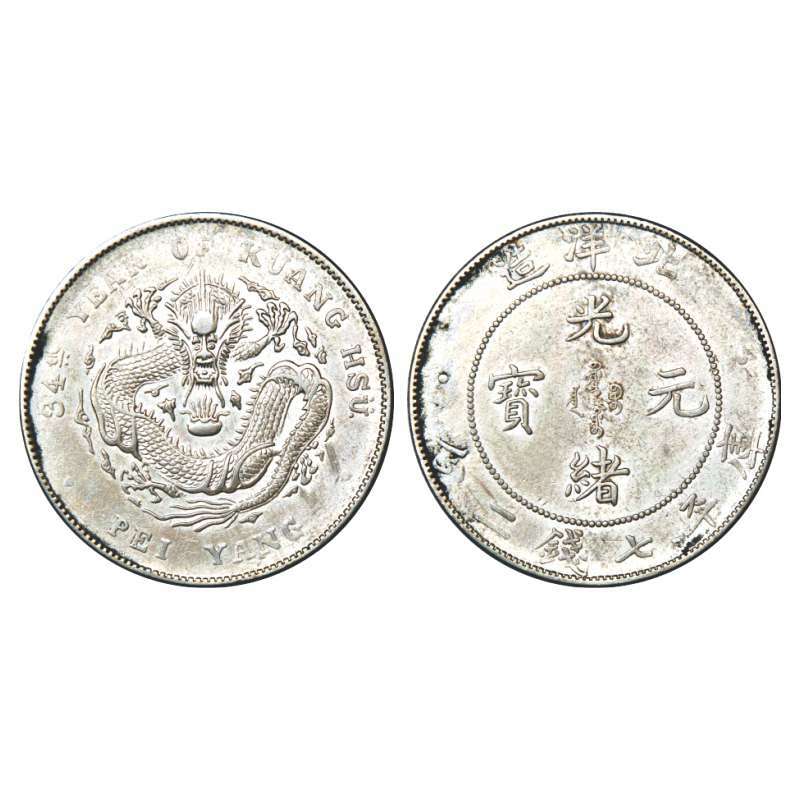 Republic of China, silver dollar (Yuan), 26.60g, year 22. 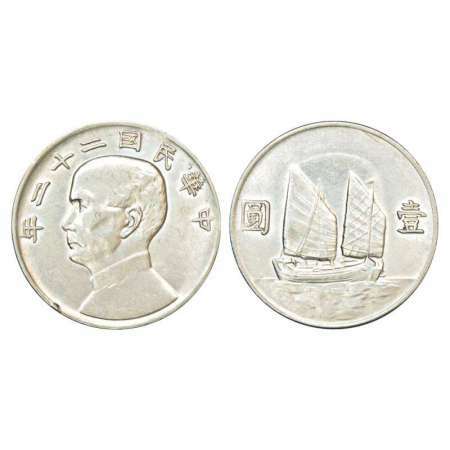 Obv: Portrait bust if Sun yat-sen facing left. Rev: Without birds above Junk, KM Y345. Edge little knock, Very fine+, Very scarce. 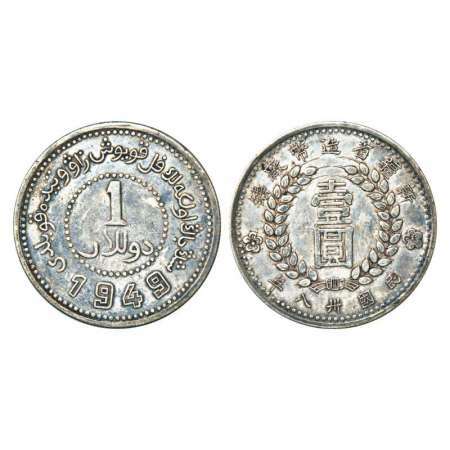 China, Sinking province, silver dollar, 26.04g, AD 1949, KM 46.3. 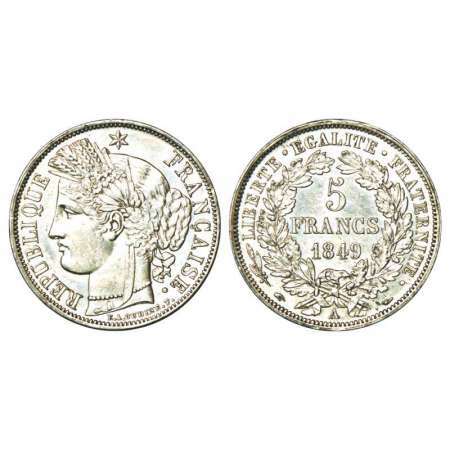 Fine to very fine, Very scarce. 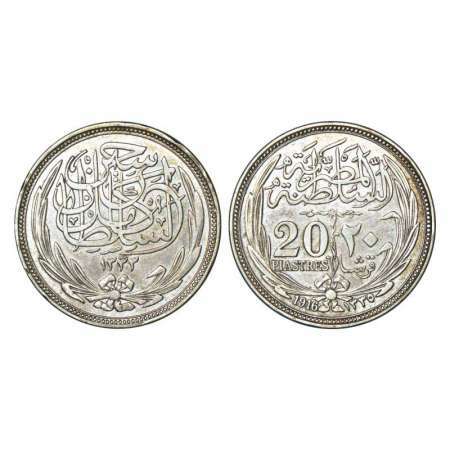 Egypt, Hussein Kamil (1914-1917 AD), silver 20 piasters, AD 1916/AH 1335, 27.62g. Obv: Text above date within wreath. 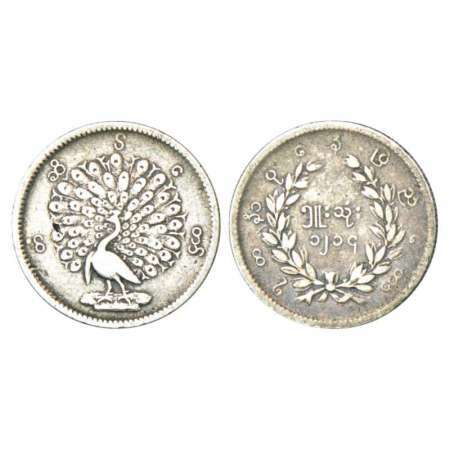 Rev: Denomination within wreath, date below, KM 321. 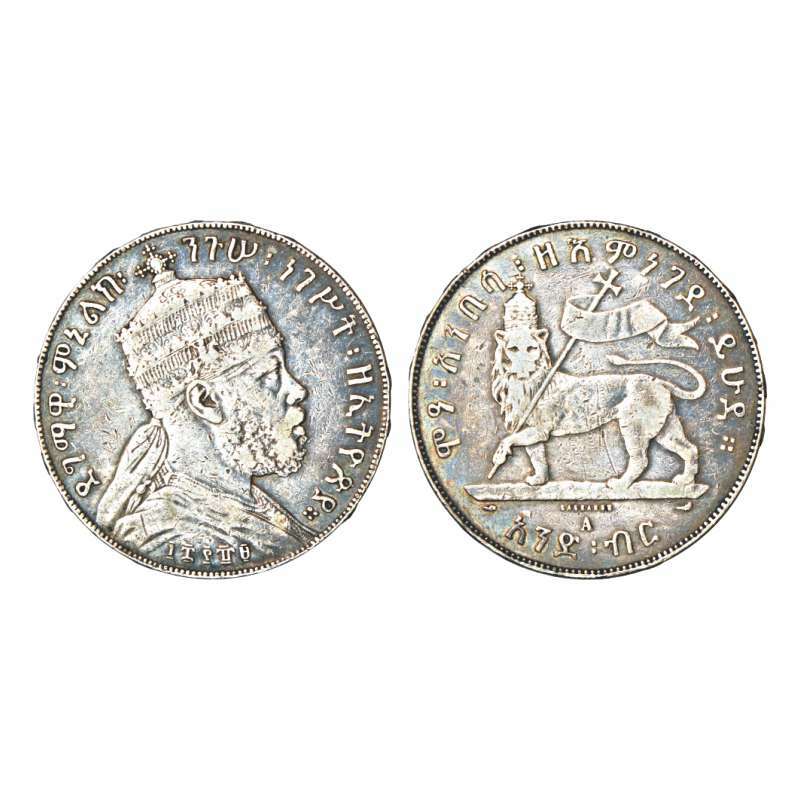 Ethiopia, Manelik II, silver birr, EF 1889, 'A' mint mark, 27.89g. Obv: Portrait bust of king. 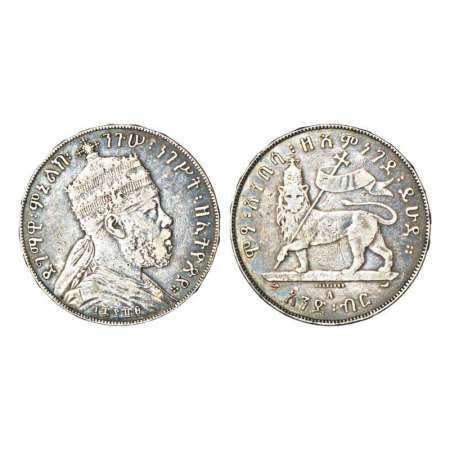 Rev: Crowned lion left, foreleg raised, KM 5. 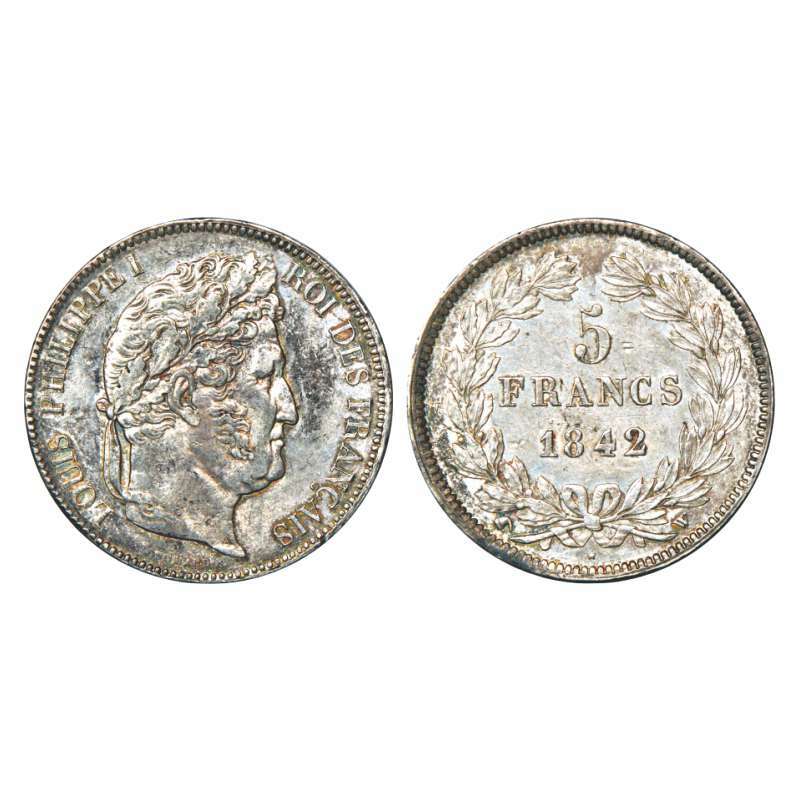 France, silver 5 francs, AD 1842, Lille mint, 'W' mint mark, 25.05g. Obv: Laureate head right. 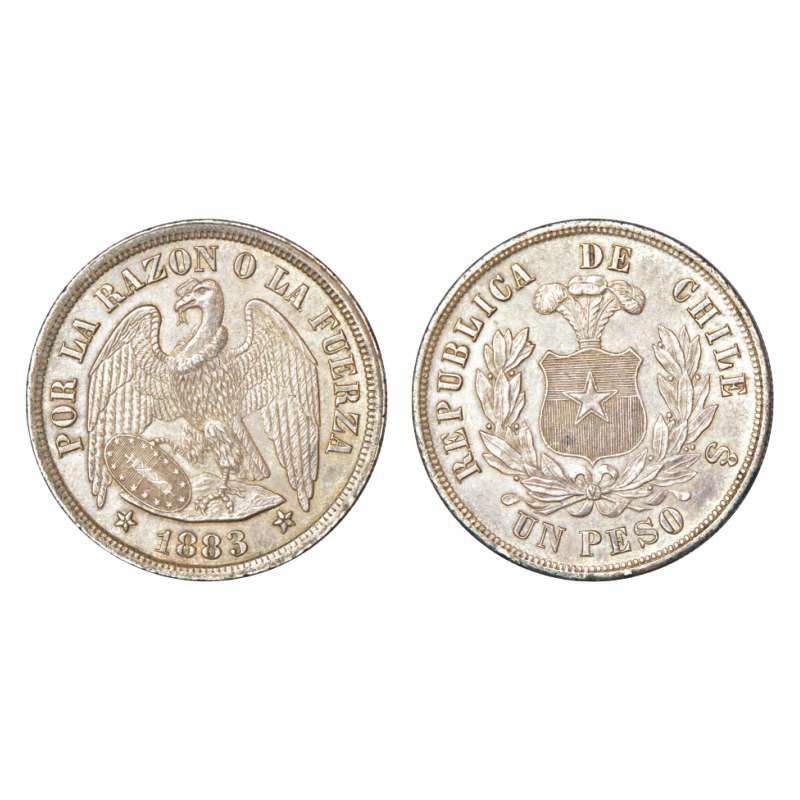 Rev: Denomination and date within wreath, KM 749.13. France, silver 5 francs, AD 1849, 'A' mint mark, 24.87g. Obv: Liberty head with grain wreath left. 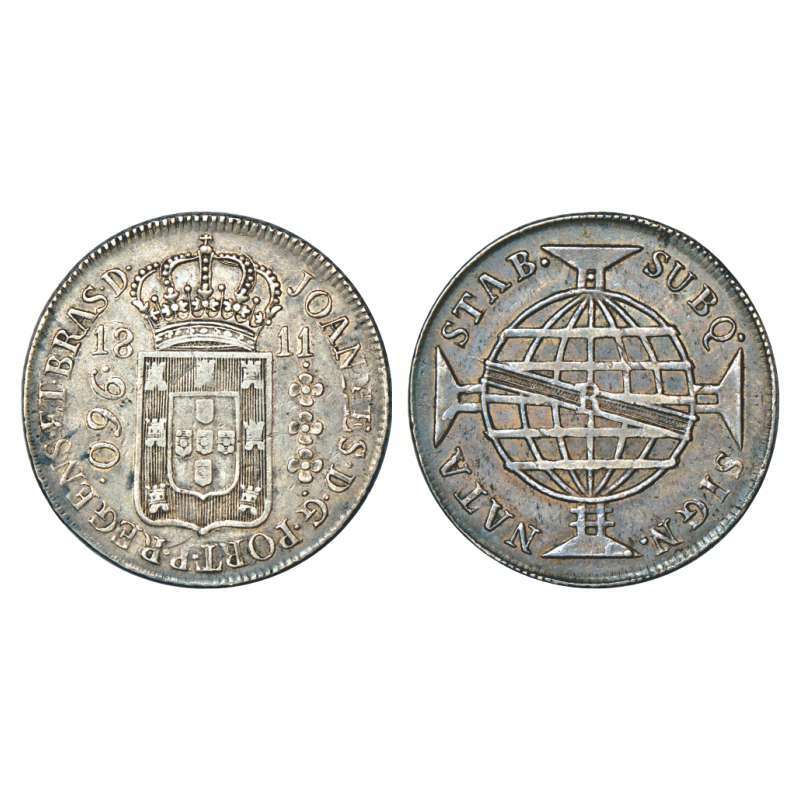 Rev: Denomination within wreath, KM 761.1. France, silver 20 francs, AD 1933, Paris mint, 19.84g. Obv: Laureate head right. 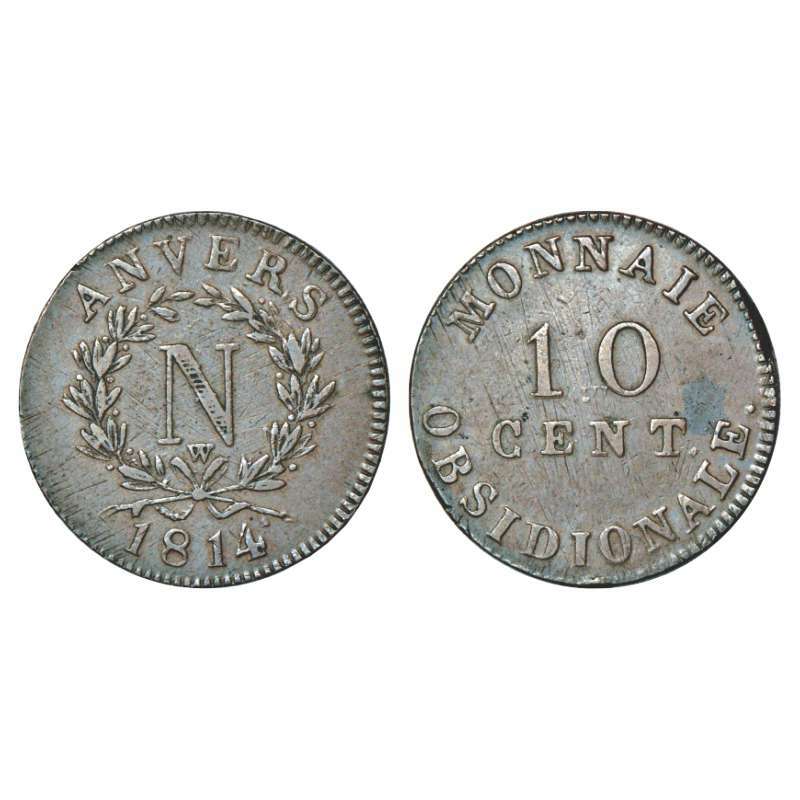 Rev: Denomination and date, KM 879. 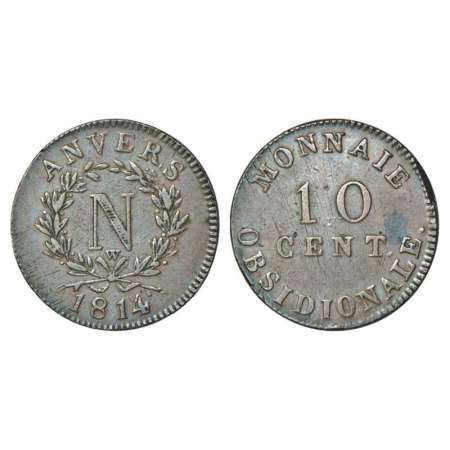 French State-Antwerp, Napoleon I, bronze, 10 centimies, AD 1814, 24.50g. Obv: N monogram within wreath, with 'W' above the ribbon bow. Rev: Denomination, KM 5.4. 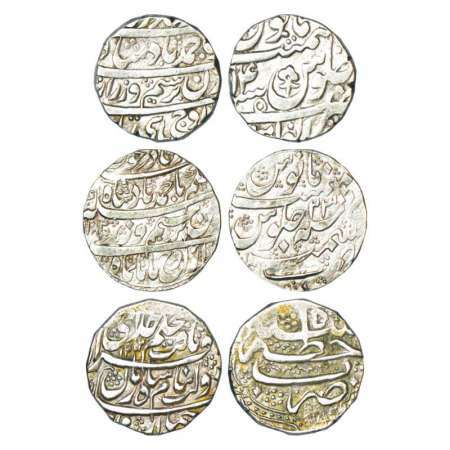 Edge knock otherwise about extremely fine, Very scarce. 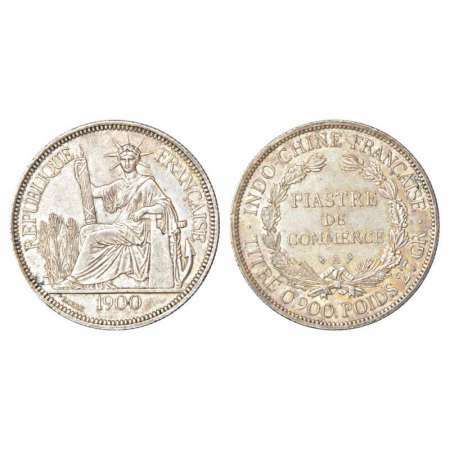 French Indo-China, silver piastre, AD 1900, 'A' mint mark, 27.06g. 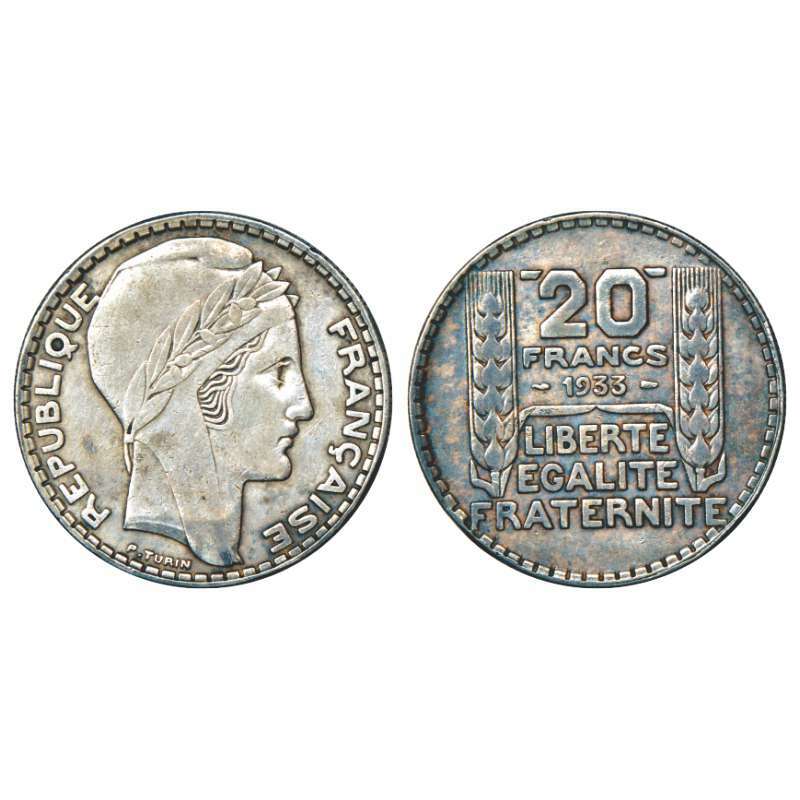 Obv: Liberty seated left with fasces. 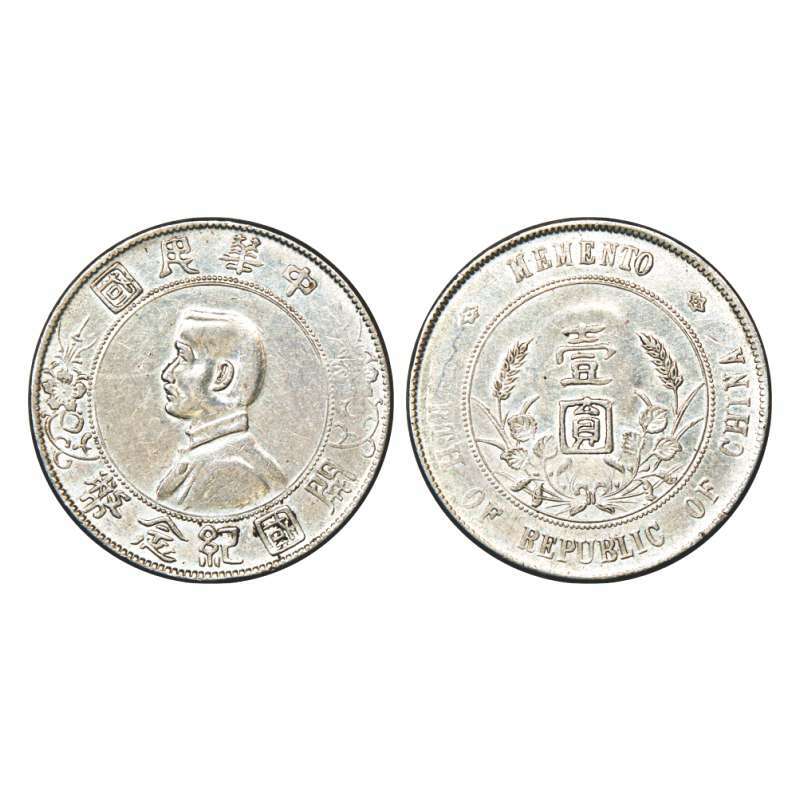 Rev: Denomination on within wreath, KM 5a.1. 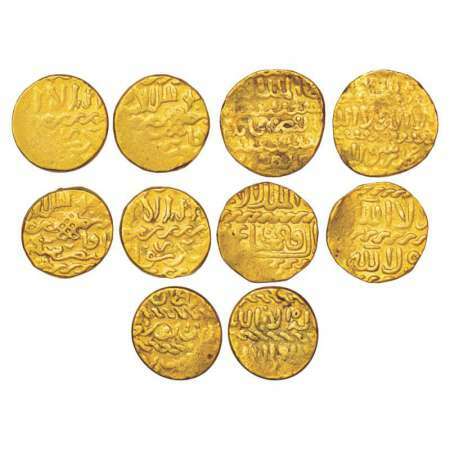 About extremely fine, Very scarce. 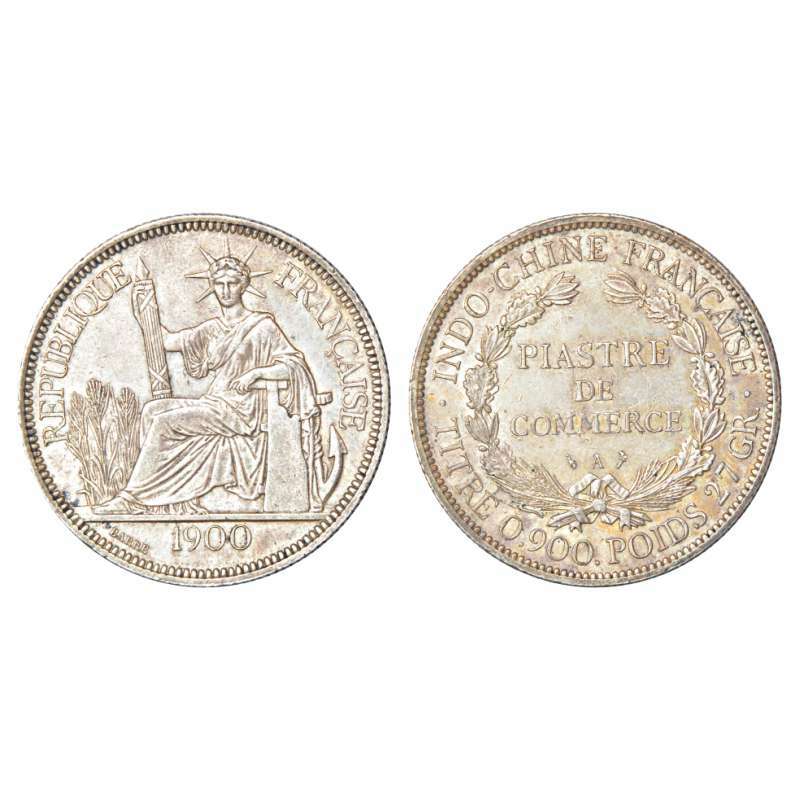 French Indo-China, silver 1 piastre, AD 1931, 19.97g. Obv: Laureate head left. 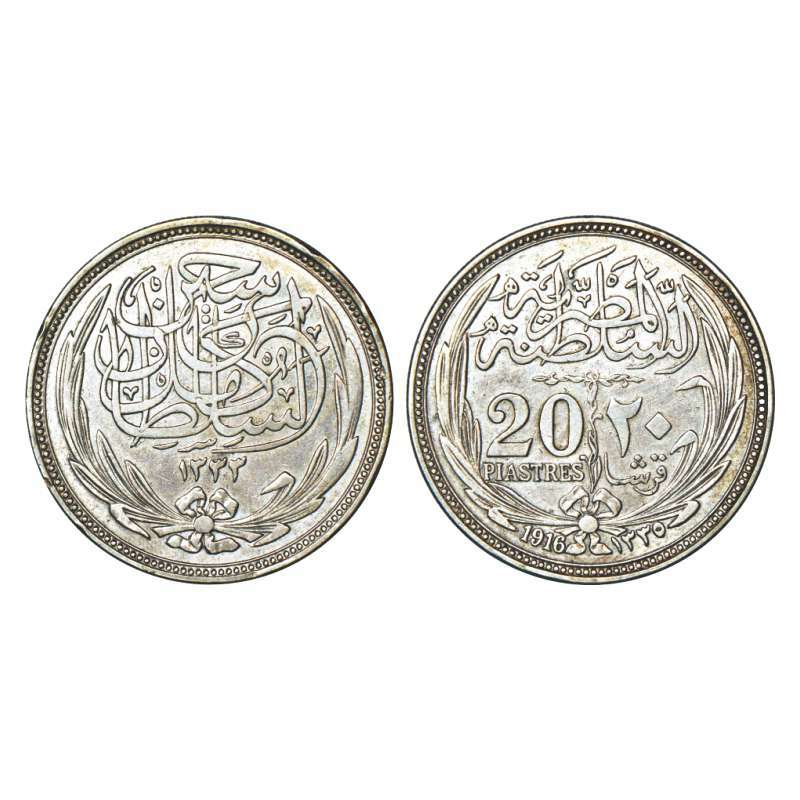 Rev: Denomination and date within keyhole shape wreath, KM 19.